America post 9/11 more than a decade after the millennium, Gun Ownership has taken a new identity. The very image of a gun either gives one a sense of fear and political aggression or one of deep cultural & national pride. These two opposing sentiments have erupted into a tumultuous political battle. The global anti-gun initiative has seen its peak in recent months and is “heating up” in Washington with our very own President threatening legal Gun Owners with Executive Actions featuring new national gun restrictions and firearms laws. Owning a gun safe means you won’t have to worry about immediate gun storage restrictions or subject to criminal prosecution because your guns were stolen/ used for a crime. There are people who will sue you for everything you own over a firearms related mishap. Everyday in the United States of America there are children involved in life threatening or fatal accidents including handguns and other firearms. Seriously childrens are maimed and critically wounded by preventable accidents. These accidents included children who “were taught to know better”. The simple act of owning and employing a safe in your home will save your child’s life. It is a good feeling to know you do not have to worry about your grandchildren playing with the guns in your closet while you are away. Even if they are trained maybe the neighbors kids are not. Owning a quality gun safe is recommended by firearms safety trainers including the military and the NRA safety instructors. Guns are the coolest but remember their primary purpose is to kill in an efficient way...let’s protect the children no question. Gun Safes are the best possible method for preventing home intruders from accessing your valuables including expensive guns and other firearm related gear like rifle scopes which most people now store in safes as well. Keeping your costly items locked up in a gun safe is a wise idea especially with the insurance companies policies in regard to guns. It’s so important to own a quality gun safe for the specific reason of asset protection. It’s easy to forget how much valuable stuff you have laying around this is what is so attractive for thieves. People who do not own a safe are “easy pickings”. 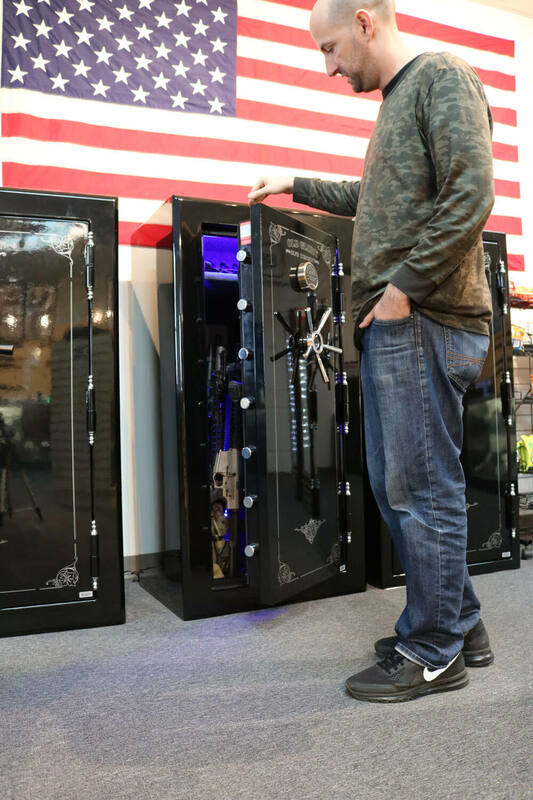 Gun Safes by Old Glory Gun Safes are specifically designed to mitigate this invasive threat that will literally have your entire life flipped upside down. 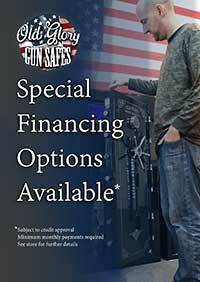 Old Glory Gun Safes are designed to protect you there is no better quality gun safe for the task. Let’s be frank about it no matter how safe your neighborhood is there folk who can’t wait to catch you with your guard down. Why be an option. Own a gun safe to know you have tried your best!